A recent study found a significant risk factor for developmental delays in the most unexpected location: your gut. Kids with this risk factor have nearly double the risk of delayed social development compared to the average child. 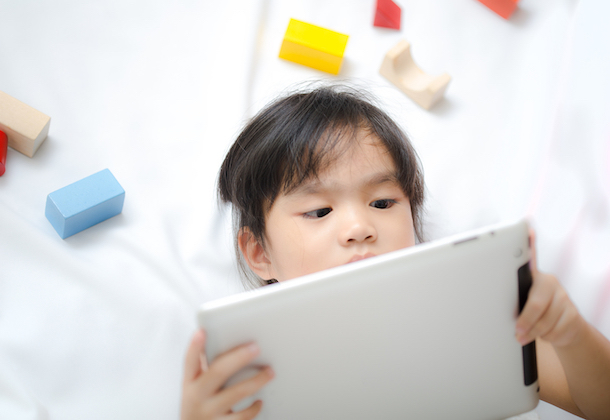 They also face a higher risk of delayed communication by age 3. If this sounds like autism, you’re right. While the metric used was not a test for autism, the results correlate highly with autism. We’ll break down the science behind this finding, and lay out what this means for autism. 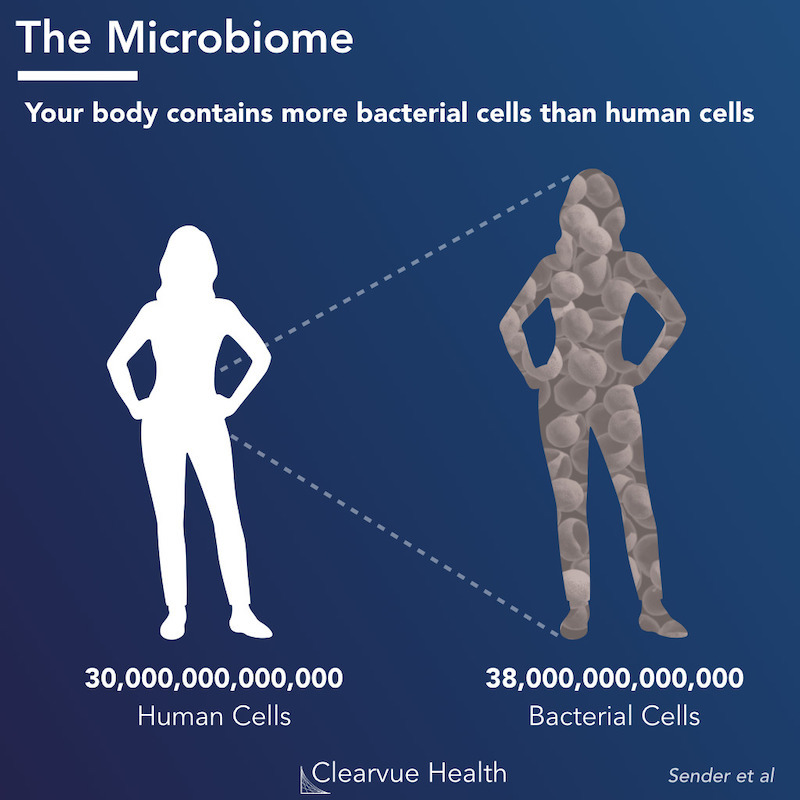 Your microbiome covers all bacteria and other microorganisms living in your body. For the longest time, doctors have not paid much attention to these bacteria. But, recent research has linked the microbiome to all sorts of diseases including autoimmune disorders and obesity. 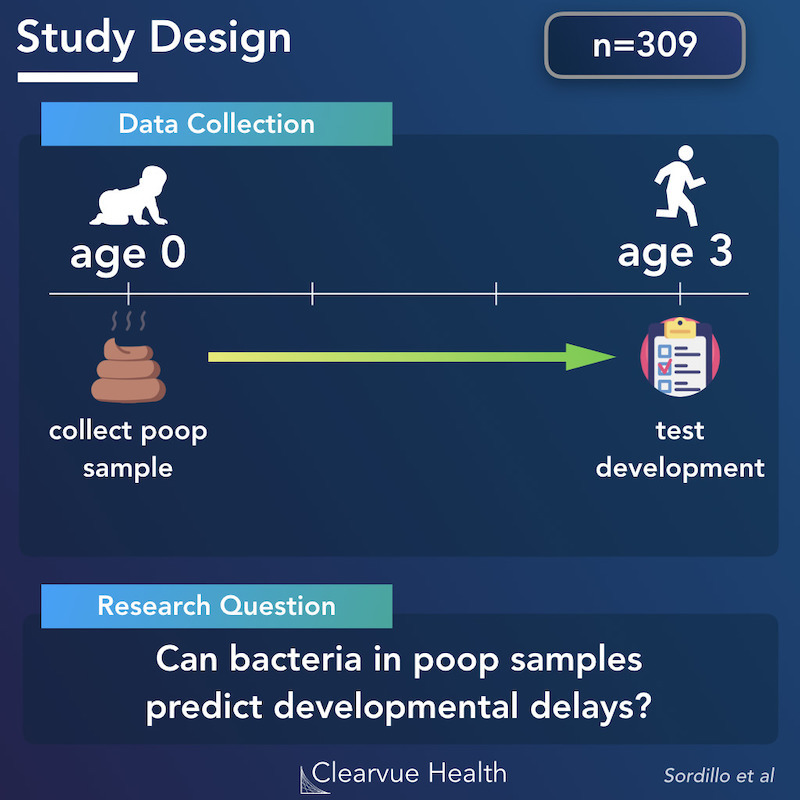 Researchers found that infants born with certain types of bacteria in their microbiome, as detected in their poop, had a significantly higher risk of developmental delays. Infants who had a lot of specific bacteria types had nearly twice the risk of social development delays compared to other infants. 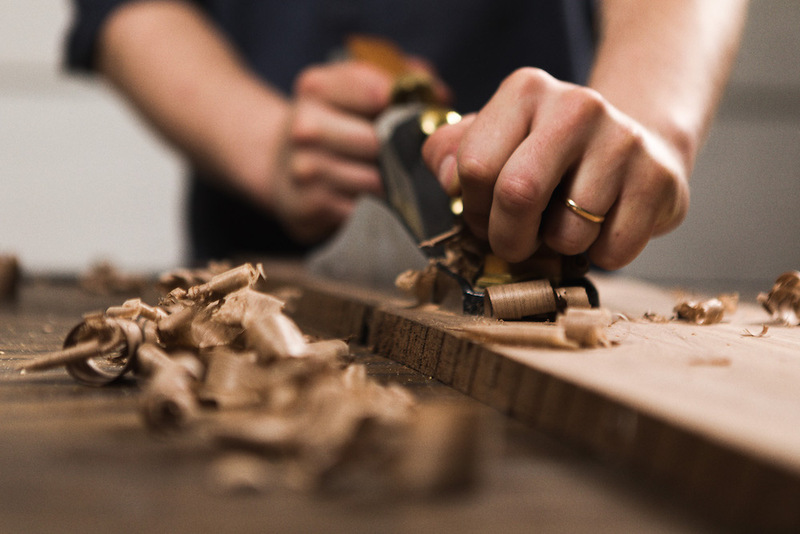 You can read more about the methods here. What can we tell from this research? This is pretty extraordinary in many ways, who would have guessed 20 years ago that your gut bacteria could predict developmental delays? Like many studies, this data only points to a correlation, not a causation. 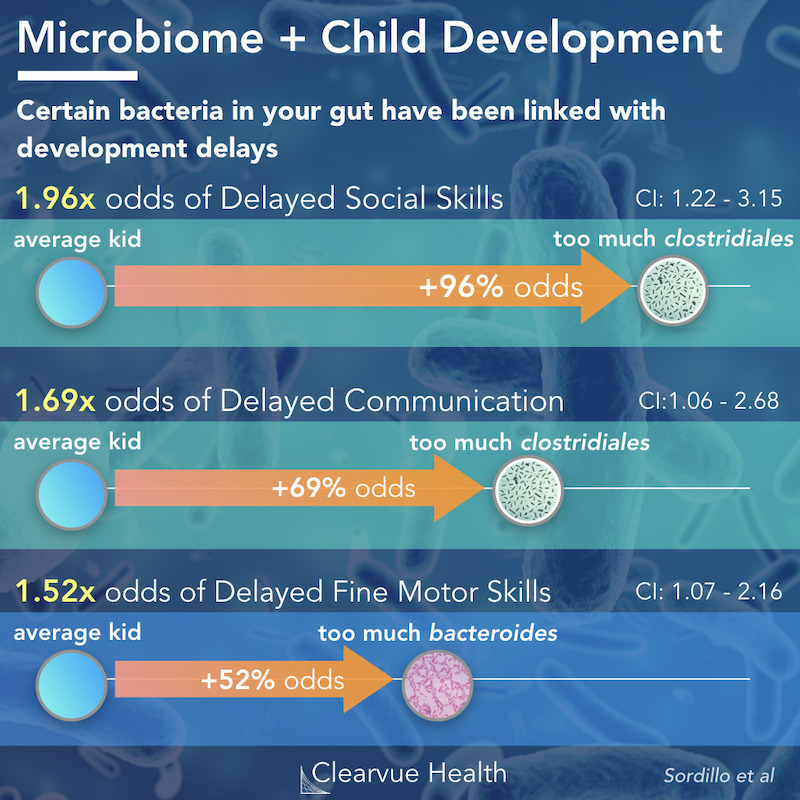 We know with some confidence that kids with certain bacteria in their gut have a higher chance of facing developmental delays. We still don’t know whether these bacteria cause autism, or whether these bacteria are just a signal of autism. At this point, we don’t fully understand the microbiome well enough to know whether it’s possible to treat or help prevent autism through the microbiome. These factors may be correlated with an underlying cause shared by autism, in which case fixing the microbiome would do little to no good. The good news is that the microbiome can be modified. Unlike genetic risk factors, which you’re pretty much stuck with after conception, microbiomes change all the time. Eating yogurt, changing up your diet, and medications call all change your microbiome. If future studies find that the microbiome can alter development in a child, then this opens the door to entirely new treatments for autism. For now, we will just have to wait and see. Dr. Charles Li is a physician and cancer researcher. He is the CEO & Founder of Clearvue Health. After medical school, he trained as one of the only Physician-Software Engineers. 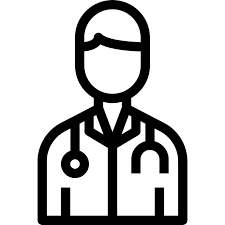 He aims to use software to democratize medical information and improve healthcare delivery. He received his A.B. from Washington University in St. Louis and his M.D. from Yale School of Medicine.